Google is pushing a Gmail update to the Play store this morning, one that includes all of the goodies found in the Android 4.2 version of the app. 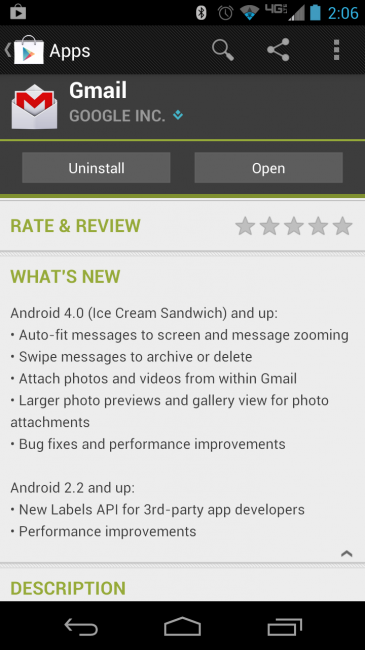 Once updated, as long as you are running Android 4.0 or higher, you will be able to pinch-to-zoom in emails, swipe them away to either delete or archive, attach photos and videos from within the app, and preview attachements in a much better way. It’s not showing up on our devices, but it may be on yours. Got it, go check yours!